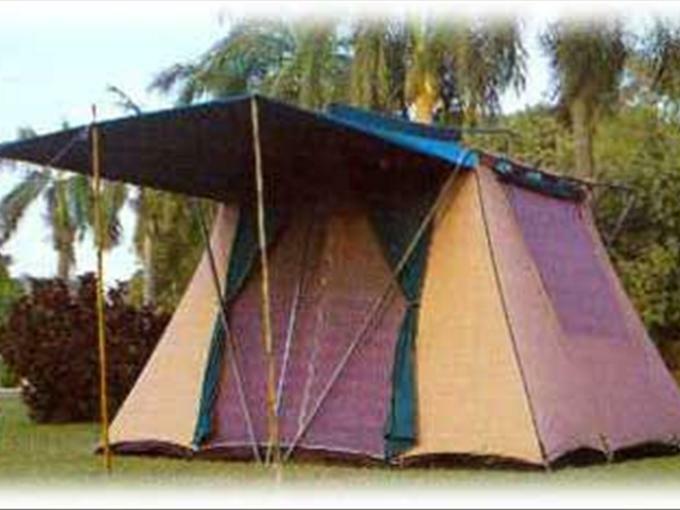 An economically priced family tent. Large fully screened entrance door with storm flap and 2 large screened windows provide excellent ventilation. Made from Cotton Canvas Waterproof 270, 325 or 450 gms per square meter natural white or in a color of your choice. Ground sheet in PE fabric sewn in floor. The tent comes packed in a cotton carrying bag. Complete with metal poles, iron pegs and a carrying bag.